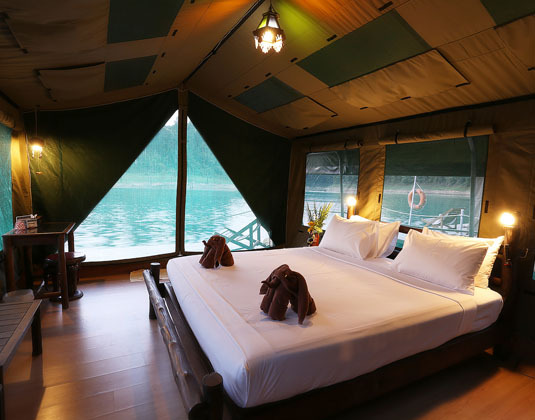 One of the only floating tented camps in the world, the Rainforest Camp is situated on one of Thailand's most spectacular lakes and surrounded by rainforest and towering limestone mountains. 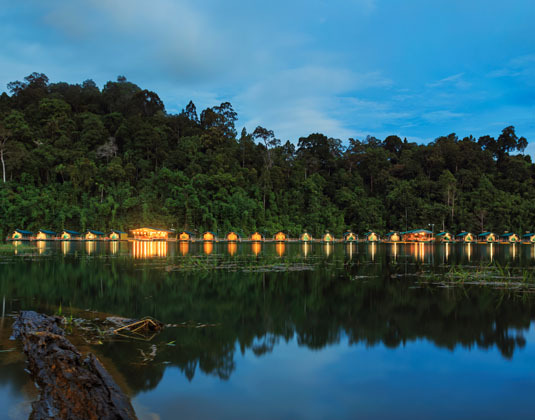 Take a swim in the emerald waters of Cheow Larn Lake; kayak through the klongs keeping your eyes peeled for monkeys and birds; and relax on the deck at the front of your tent and watch as the sun sets over the jungle. Incredible scenery and perfectly peaceful. 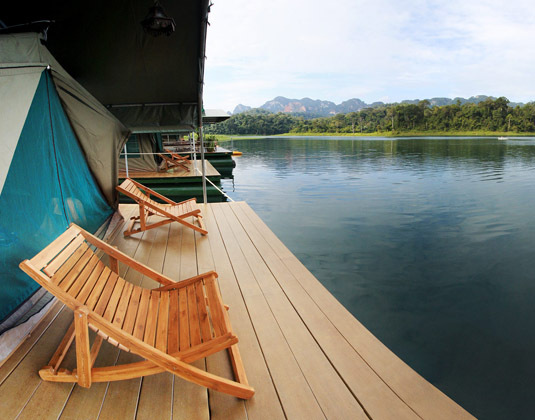 In one of 20 luxury safari tents with shower, safe and deck. There is no air-conditioning, televisions or telephones in the tents. Hairdryers cannot be used due to limited power supply and WiFi is not available due to the remote location. 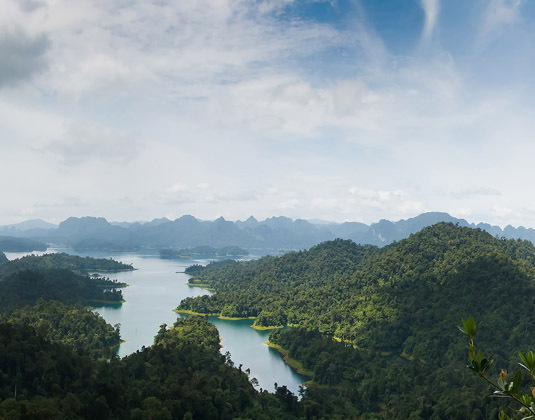 2 hours 30 minutes from Phuket airport. 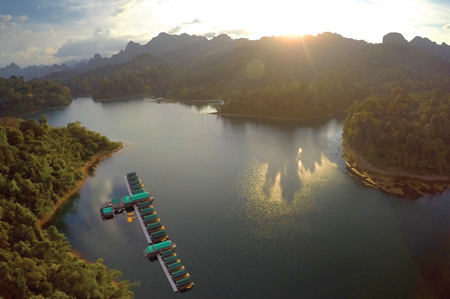 Also available from Khao Lak, Krabi, Koh Samui and Surat Thani. 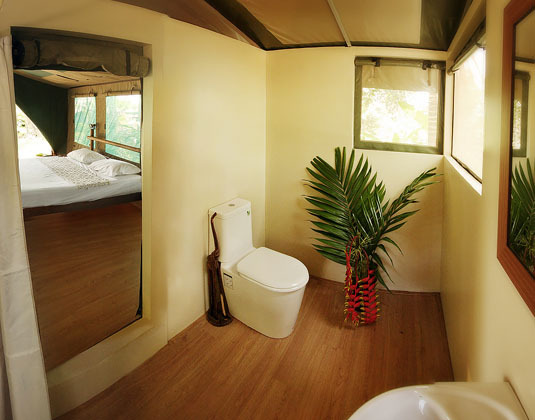 Children are permitted at Elephant Hills Rainforest Camp from 7 years of age. 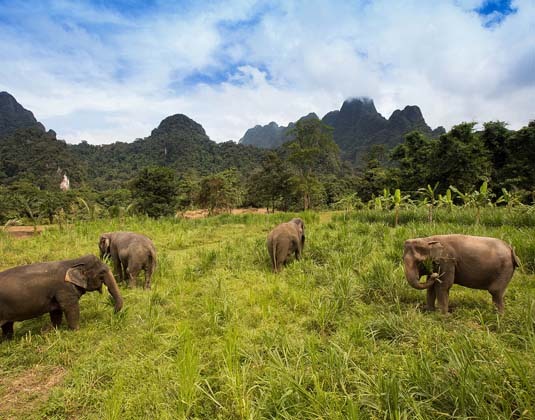 Elephant Hills has a variety of soft adventure tours available, either staying at just the Rainforest Camp or combining a stay at the Elephant Camp. 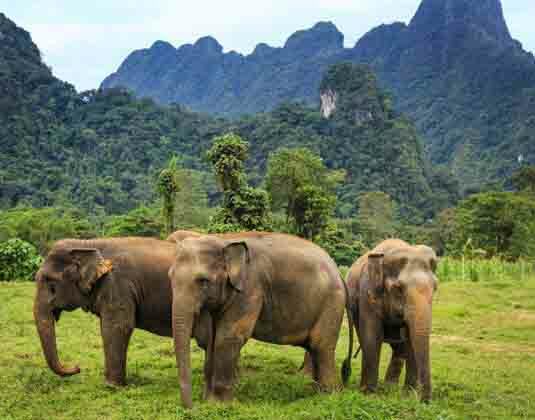 During your stay several activities are included from simple forest walks to lengthy treks, scenic canoe trips, sailing through the mangroves on a traditional Burmese junk and an unforgettable encounter with elephants which is sure to be the highlight of your stay. 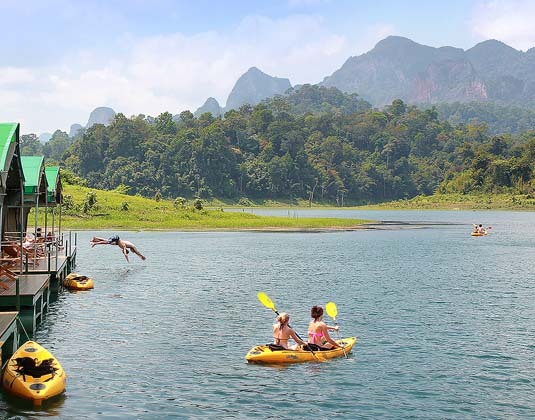 All activities are in small groups and are accompanied by knowledgeable guides.